At a news conference on March 14, Oklahoma Attorney General Mike Hunter and Corrections Director Joe M. Allbaugh announced that the state plans to switch its method of execution from lethal injection to nitrogen gas asphyxiation. Attorney General Hunter said the move to nitrogen hypoxia was necessary “because of the well-documented fact that states across the country are struggling to find the proper drugs to perform executions by lethal injection." "Oklahoma,” he said, “is no exception.” No state has ever carried out an execution with nitrogen gas, and the ACLU of Oklahoma and lawyers for the state's death-row prisoners critized the new execution plan as “experimental.” Dale Baich, an assistant federal defender who is representing 20 Oklahoma death-row prisoners in a challenge to the state's execution process, cautioned that “Oklahoma is once again asking us to trust it as officials ‘learn-on-the-job’ through a new execution procedure and method. How can we trust Oklahoma to get this right when the state’s recent history reveals a culture of carelessness and mistakes in executions?” In 2015, Oklahoma legislators authorized the use of nitrogen gas as a backup method of execution should lethal injection be declared unconstitutional or unavailable. State officials said the change is a response to the unavailability of execution drugs, although there has been no judicial declaration on that issue. “Trying to find alternative compounds or someone with prescribing authority willing to provide us with the drugs is becoming exceedingly difficult, and we will not attempt to obtain the drugs illegally,” Allbaugh said. Oklahoma botched the execution of Clayton Lockett in April 2014, the first time the state had attempted to use the controversial drug midazolam. 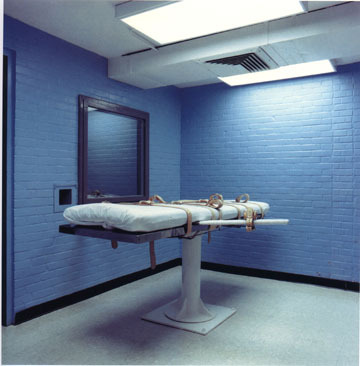 Lockett died of a heart attack shortly after the state halted the procedure and delayed the execution of Charles Warner, which it had scheduled for the same night. 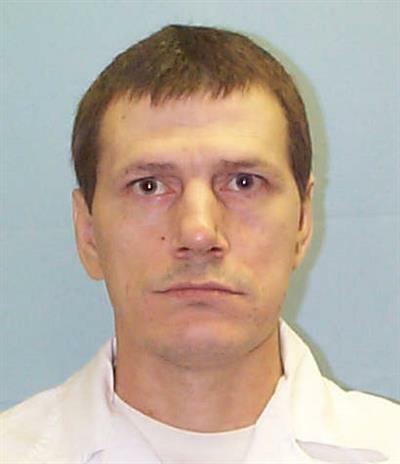 The state executed Warner on January 15, 2015—the last execution carried out in the state—using a drug that was not authorized in the state's execution protocol. Executions have been on hold since October 2015, after Richard Glossip was granted a last-minute stay when the state again obtained the wrong execution drug. A grand jury report on Warner’s execution and Glossip’s near-execution called the actions of prison officials, “careless,” “negligent,” and “reckless,” and said the state’s “paranoia" about keeping execution information secret had caused corrections personnel “to blatantly violate their own policies.” Following the mishandled executions, the independent bipartisan Oklahoma Death Penalty Review Commission spent more than a year studying Oklahoma’s capital punishment practices and unanimously recommended that the state halt all executions “until significant reforms are accomplished.” ACLU of Oklahoma Executive Director Ryan Kiesel said the commission report “paint[s] a picture of a system that fails at multiple points to provide the necessary safeguards” to protect the innocent and ensure fair trials. He said the state’s attempt to restart executions without addressing the 46 recommendations made by the commission was “deeply troubling.” The Department of Corrections has not yet written a protocol for how it will carry out executions using nitrogen gas, but Allbaugh indicated that he expected the protocol to be ready within 90 to 120 days. Under the terms of an agreement in the federal challenge to Oklahoma’s execution process, Oklahoma may not seek to carry out executions for at least five months after adopting a new protocol. 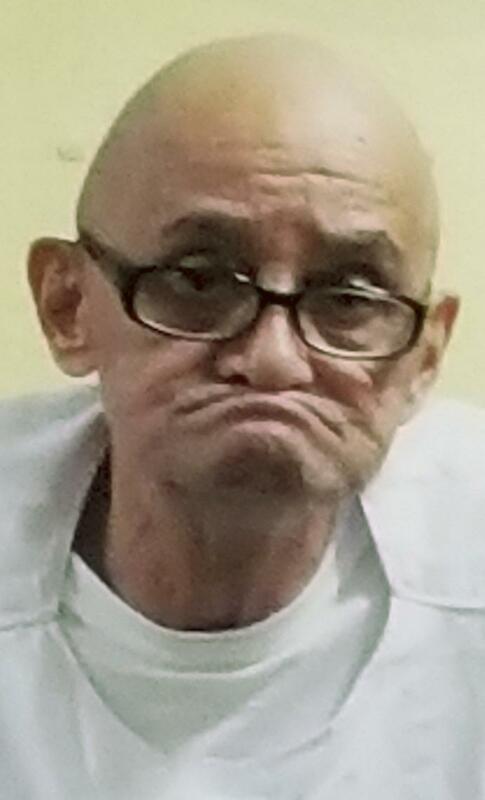 Alva Campbell (pictured), the terminally ill death-row prisoner who survived a botched execution attempt by the state of Ohio on November 15, 2017, has died. Campbell, 69, was afflicted with lung cancer, chronic obstructive pulmonary disease, respiratory failure, prostate cancer, and severe pneumonia; he relied on a colostomy bag, needed oxygen treatments four times a day, and required a walker for even limited mobility. He was found unresponsive in his cell at Chillicothe Correctional Institution in Ross County in the predawn hours of March 3 and was pronounced dead at a local hospital at 5:24 a.m. Ohio corrections personnel were aware prior to the failed execution attempt that Campbell was gravely ill and physically debilitated. 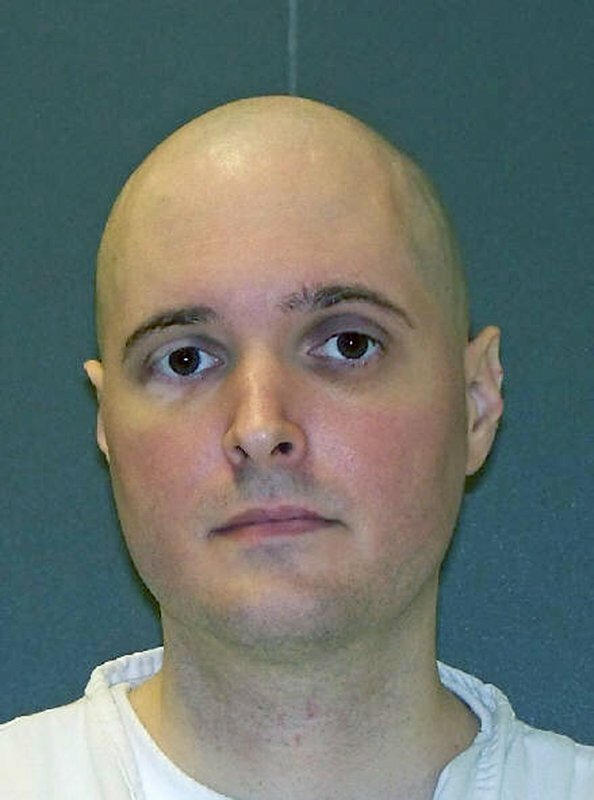 Campbell’s lawyers unsuccessfully argued in court that Campbell's medical condition had compromised his veins, making IV access problematic and creating the risk that any lethal-injection execution would be unconstitutionally torturous. 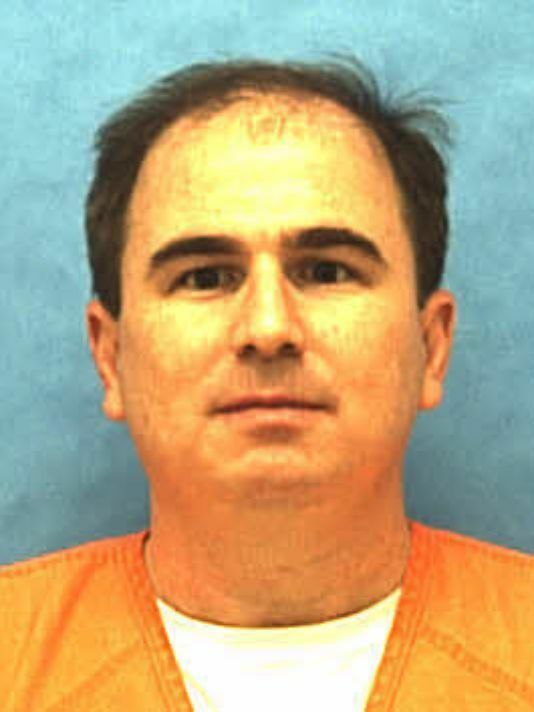 Lead counsel, assistant federal public defender David Stebbins, warned that the execution could become a “spectacle” if prison staff were unable to find a suitable vein. Calling Campbell “an old and frail man who is no longer a threat to anyone,” Stebbins said that "[k]illing Alva Campbell is simply not necessary.” Ohio's attempt to put Campbell to death was delayed for nearly an hour as executioners assessed his veins. Witnesses then watched for another half hour as prison personnel used an ultraviolet light to probe Campbell's arm for a vein, repeatedly sticking his arms and legs. Columbus Dispatch reporter Marty Schladen, a media witness to the execution attempt, reported that when he was stuck in the leg, “Campbell threw his head back and appeared to cry out in pain.” After failing four times to find a suitable vein in which to set an intravenous execution line, Ohio called off the execution and Governor John Kasich granted Campbell a temporary reprieve and rescheduled his execution for June 2019. The botched execution attempt was the fourth time in twelve years that executioners in Ohio had prolonged difficulty in setting an execution IV, and the second time in which an execution attempt was halted. The failure highlights the growing problem states face in attempting to execute an aging and increasingly infirm death-row population. On February 22, 2018, Alabama attempted to execute Doyle Hamm, a 60-year-old death-row prisoner with terminal cranial and lymphatic cancer that his lawyer had warned rendered his veins unusable for lethal injection. In a failed execution that media reports described as “horribly botched,” executioners repeatedly punctured Hamm’s legs and groin in unsuccessful attempts, spanning more than two-and-a-half hours, to set an IV line. Four days later, the U.S. Supreme Court stayed the execution of Vernon Madison, a 67-year-old Alabama death-row prisoner with vascular dementia caused by strokes that have left him legally blind, incontinent, unable to walk independently, and with no memory of the offense for which he was sentenced to death. Alabama is scheduled to execute 83-year-old Walter Leroy Moody on April 19. A senior United Nations human rights official has criticized the secrecy with which countries carry out the death penalty and called for greater transparency by countries that still employ capital punishment. 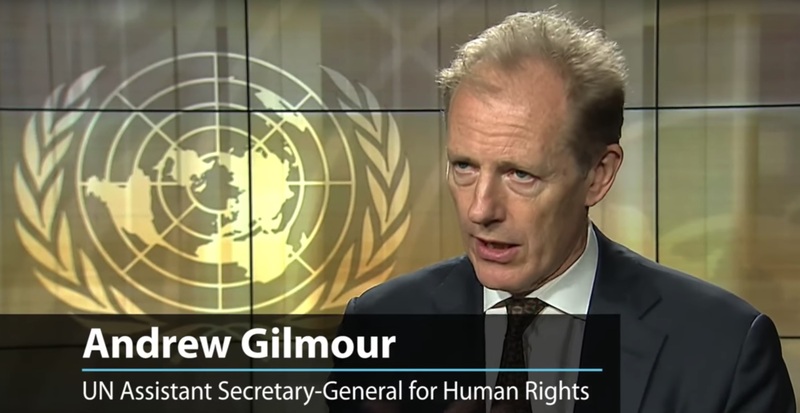 "There is far too much secrecy," United Nations Assistant Secretary-General for Human Rights Andrew Gilmour (pictured) said in an interview released November 21 by the U.N. News Centre, "and it’s quite indicative the fact that although many countries are giving up the practice, those that retain it nevertheless feel that they have something to hide." 170 nations have either abolished the death penalty—which U.N. Secretary-General António Guterres has described as a “barbaric practice” that “has no place in the 21st century”—or have not carried out an execution in more than a decade. Many of the governments that continue to execute prisoners have shrouded their death-penalty practices in secrecy, hiding who is on death row and why, how executions are carried out, and—in some countries—how the government has disposed of the executed prisoner's body. Guterres said the practice manifests “a lack of respect” for the human rights of those sentenced to death and "obstructs efforts to safeguard the right to life.” In December 2016, the General Assembly added an anti-secrecy provision to its regular resolution calling for a moratorium on executions, saying that transparency was essential to assess whether countries were administering their death penalty laws in compliance with international human rights standards. In September 2017, the death-penalty moratorium resolution adopted by the U.N. Committee on Human Rights again emphasized the link between transparency and respect for human rights. At an October 2017 event at U.N. Headquarters in New York commemorating World Day Against the Death Penalty, the Secretary-General said "[f]ull and accurate data is vital to policy-makers, civil society and the general public. It is fundamental to the debate around the death penalty and its impact.” Execution secrecy, he said, "undermines that debate." Secrecy has been implicated in recent execution botches and questionable execution practices across the United States, In May 2016, an Oklahoma grand jury found that “paranoia” on the part of prison officials about keeping execution information secret had “caused administrators to blatantly violate their own policies,” contributing to the botched execution of Clayton Lockett, the execution of Charles Warner with an unauthorized execution drug, and the aborted attempt to execute Richard Glossip. In Missouri, prosecutors affirmatively used the state's secrecy provisions to prevent prisoners from obtaining evidence that the out-of-state compounding pharmacy from which the state was illegally obtaining drugs had committed 1,892 violations of pharmacy health and safety regulations. Gilmour singled out for criticism Arkansas’s rush to execute eight prisoners in an eleven-day span in April before its supply of the drug midazolam expired. “I’ve heard various arguments, absurd arguments for executing and some rather obscene arguments for executing,” Gilmour said, “but I don’t really think I’ve heard many more obscene ones or absurd ones than the fact that the drugs for executing had reached their sell-by date.” As part of an international human rights efforts to end the secret trade in lethal-injection drugs, the U.N. Office of the High Commissioner for Human Rights has supported a multi-national initiative called the Alliance for Torture-Free Trade. "I think it’d be a step forward in civilization to block this trade, and luckily there are some major drug companies who are refusing to allow their drugs to be used in instances of execution,” Gilmour said.